The goal is to establish 30 General hospitals over the next 5 years. Quality and Quantity are scarce in Egypt's healthcare system. We propose establishing these healthcare centers to form a network of institutions. 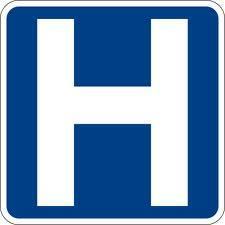 We propose a General hospital for each province. Each hospital will provide ample number of beds (hundreds) with a research department. Each hospital will be established according to international standards. This will be integrated with the health insurance program. Management: We envision that managment would be conducted by an international healthcare management group that will be awarded the project for 10 years and will hand over the management to local operators after extensive training has been secured. Funding: the funding of these 30 General hospitals will be the profits coming from Al warak project, Metropolitan project also discussed in this portfolio of proejcts. The estimated return from taxes only will be 30Billion LE. We envision the cost of each hospital will be 800Million LE, and a fund for the amount of 6Billion will be invested and proceeds would be returned for operations and research.